Termites are a massive concern in the homes and businesses of people all over Australia. Every state and territory, perhaps with the exception of Tasmania, is prone the ravages of termites. Fortunately, there are real and active steps you can take to keep these nasty pests from damaging your home. 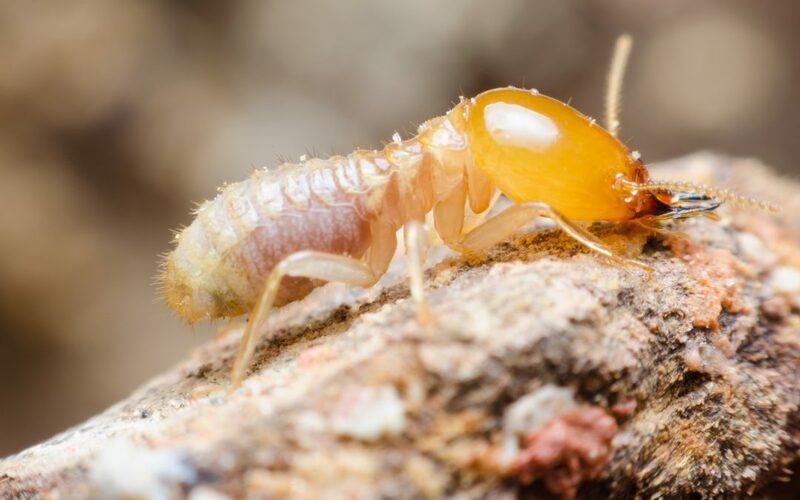 This short guide to preventing termites comes to you from the leaders in termite control in Burleigh Waters: Bernie’s Pest Control. Read on to discover how to spot the common signs of termites and how to stop them in their tracks. Termites cause hundreds of thousands of dollars worth of damage every year. Termite damage could reduce your home’s value by as much as 20%. There are around 30 species of termites in Australia that are able to cause significant damage. Queensland is especially susceptible to termites, with more than 40% of homes found to have termites present outside their property. The best way to avoid a serious termite infestation is to keep your eye out for signs of termites or their damage. In the reproductive season, the young winged termites take to the skies, flying off to land and start new colonies. After the flight, these wings are discarded, often leaving odd piles of wings nearby. This lets you know that termites are around, and that they may have recently established a new colony on your property. Subterranean termites are one of the biggest culprits when it comes to termite damage in Australian homes. Living underground, they make their way toward your home via a large system of subterranean tunnels. When these are close to the surface, you might spot them running towards your home. Occasionally these make their way up your exterior walls as well. When you notice these, it’s definitely time to call your local pest control experts. Unfortunately, you won’t always notice termite signs or damage until the problem is serious. One way you can check is to keep a look out for sagging or warped wood or other materials in your ceiling, walls, or floors. This can be an indication that the visible wood or the supporting structures in your home have been compromised by hungry termites. If you haven’t yet observed signs of infestation, you can avoid a termite takeover with some simple DIY maintenance. Get rid of any moist or rotting wood surrounding your property. A broken-down fence or a wet pile of firewood are the type of places that termites love to set up shop. Even wood in good condition is vulnerable, and could benefit from a pre-treatment. Have a garden? Whenever possible, avoid using wood-chipped mulch as this also attracts termites. Try not to plant your vegetation directly around the perimeter of your home but move it as far from the home structure as possible. The moist ground and decaying plant life proves another element that termites are hard-pressed to resist. Regularly check for exterior leaks. Dripping pipes or leaky drainage can quickly become a termite magnet. It’s a wise idea to give your home a visual check at least once a month. Repair any drips or leaks ASAP, and while you’re at it, repair or plug up any exterior holes or gaps as well—termites can more easily find their way inside via these routes. When things get serious, it is best to call a Burleigh Waters pest control professional. The team at Bernie’s Pest Control, with years of termite experience, are ready to help. When you spot a pest problem, get in touch with us for a rapid, effective solution.